Ultra-compact, high performance, multi-battery, multi-source LED flashlight with C4 LED technology. 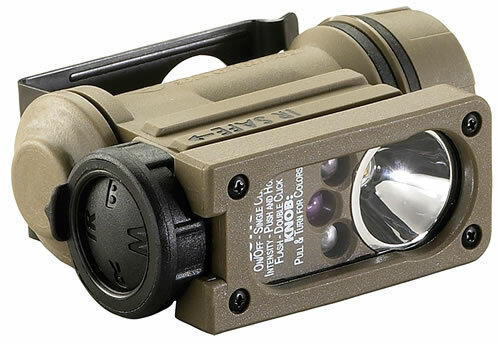 This flashlight has been engineered to meet a variety of hands free task illumination requirements with various color LEDs operable at varying outputs and runtimes. The flashlight features a 185 degree tilting body and belt or web clip to allow positioning of the illumination source at the work area.